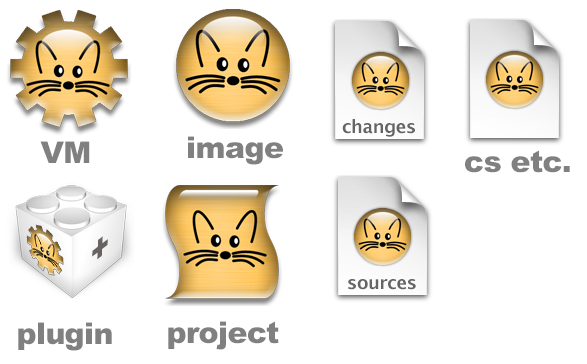 Here are some Squeak images intended for use for branding icons, launchers, and such like (outside of the IDE). These are available in .icns format in a Stuffit archive here. Available in .icns format as a tar archive. Note:There are similar icons for the regular Mac VM. pinched from the original at Squeakland.